Since August 2014, the human rights defender Emin Huseynov of Azerbaijan has been forced into hiding. He is spending his 35th birthday on 4 December in hiding. At the occasion of our birthday, we repeat our call upon Azerbaijani authorities to immediately and unconditionally drop all pending charges against him. In the midst of an unprecedented repression against civil society in Azerbaijan, Emin Huseynov is one of the leading human rights defenders victim of the repression on-going in the country. Human rights defender Emin Huseynov was forced into hiding since August 2014, as he is facing various criminal charges, similar to the ones held against human rights defender Rasul Jafarov and human rights lawyer Intigam Aliyev, both arrested in August. Leyla Yunus and her husband Arif Yunus were also arrested in August on similar charges. On 26 May 2014, Anar Mammadli and Bashir Suleymanli were sentenced to respectively 5 years and 6 months imprisonment and 3 years and 6 months on the same charges. 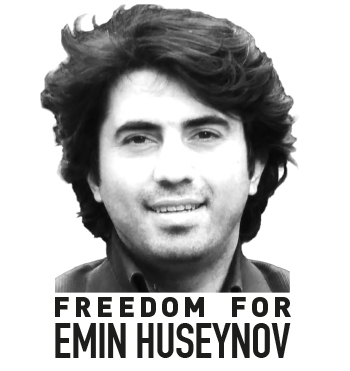 Emin Huseynov is a prominent human rights defender and leader of the Institute for Reporters’ Freedom and Safety (IRFS). 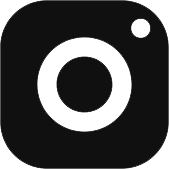 IRFS is the leading media rights organisation in Azerbaijan. Since Emin Huseynov went into hiding, the authorities have targeted IRFS, leading to the organisation’s office being searched and the employee’s not being allowed to use their office anymore. Employees of IRFS are also questioned and put under pressure by the authorities. On 5 November 2014, the 67-year old mother of human rights defender Gulnara Akhundova, a colleague of Emin Huseynov, was summoned to the Office of the General Prosecutor. She was extensively interrogated about her daughter’s human rights activities. Following this interrogation, the Office conducted a search in the apartment registered as Gulnara Akhundova official address in Baku, which is her mother’s apartment. Emin Huseynov’s family is facing various kinds of pressure from authorities. On 10 November 2014, the blogger Mehman Huseynov, brother of Emin Huseynov and also an IRFS employee, was stopped and interrogated at the Baku Airport and later released. He was arrested in relation to an on going investigation against him, based on which he was issued a travel ban. Mehman Huseynov was awarded in 2013 with the Press Prize Award from Fritt Ord Foundation and the Zeit Foundation. His travel ban was issued days before he was to travel to Oslo to receive his prize. He is still not allowed to leave the country. On 1 December 2014, the identity cards of Mehman Huseynov were confiscated based on unclear grounds. In their joint letter to President Ilham Aliyev on 11 November 2014, HRHN members have repeated their call to the Azerbaijani authorities to immediately and unconditionally drop all pending charges against Emin Huseynov, and release all other human rights defenders, activists and journalists detained in Azerbaijan. Ahead of the birthdays of Intigam Aliyev on 30 November and Emin Huseynov on 4 December, HRHN organised a demonstration on 27 November 2014 in front of the Embassy of Azerbaijan in Kyiv. Human rights defenders from Ukraine, Belarus, Croatia, Georgia, Norway, Switzerland, the Russian Federation and the United Kingdom, participated in front of the Embassy, on the steps of the Heydar Aliyev Park in Kyiv.